6/7/2011Share this story on Facebook! 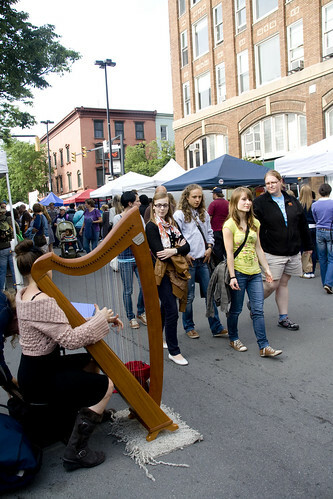 Ithaca Festival is one of Ithaca's oldest and best festivals - - and that's saying a lot! 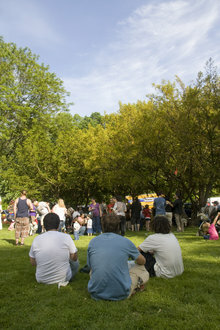 Having partially emptied from students leaving after final exams and commencements, the town filled up again as locals and people from across the state filtered in to enjoy the weekend-long event. There were tons of musicians and bands playing throughout the festival, but one of our favorites were The Makepeace Brothers, who performed at Stewart Park on Sunday.